Union, New Jersey… that’s where my earliest recollection of life began… not even of the visual variety, but through my olfactory memory (Yeah, I said it.) comprised of malodorous scents in a house full of pets that at one time or another included dogs, cats, rabbits and a monkey named, “Jerry”… true story. I neither remember seeing nor knowing when he came and went, but was aware that this primate had existed by the smell of his cage… probably, why our exotic boarder might not have been there long. 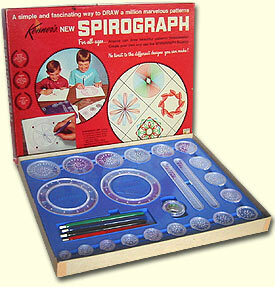 I began to take note of the world through my eyes when introduced to my siblings’ Spirograph kit. This contraption that housed a slew of many little gadgets mesmerized me with vivid colors of red, black, green and blue, unleashed from pens that would create synchronized, swirling patterns onto paper, imitating residual track marks that might be left behind by figure-skaters in a magical world. 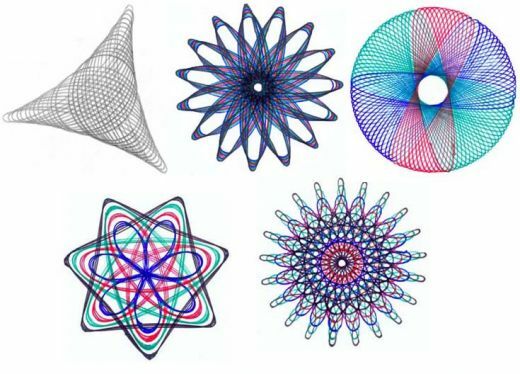 I was enchanted by those hypotrochoids, before I knew their proper names or that they were linked to my eternal archenemy… mathematics. If permitted, I would have played, incessantly, with those addictive instruments for hours. Instead, I was steered away to other activities that included my daily dose of television where crime-fighter, “Courageous Cat“, would invite himself into my den to go “head-to-head” with the forever-crooked, Jimmy Cagney-like amphibian, “Chauncey ‘Flat-Face’ Frog”. Naturally, my required regimen of animation was never complete without a visit from “Mighty Mouse” who always showed up to “save the day”. As the evening approached, so would “The Mike Douglas Show” and “The Streets of San Francisco” featuring Michael Douglas… a fact that freaked me out, knowing, there were two men with virtually the same name within my lineup of programs to watch. 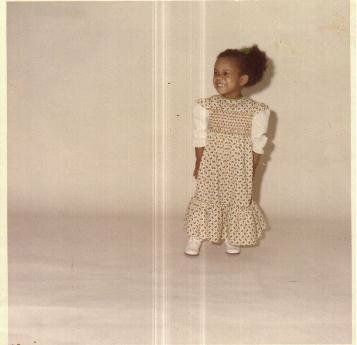 I was raised by a career woman who taught her three daughters that men were “luxuries, not necessities”. Hence, I neither witnessed the archetypical “Leave It to Beaver” matriarch bedecked in “kitchen couture”, cooking over a hot stove, hurriedly preparing to have dinner ready before the “King of the Hill” came home nor aspired to become that image. Do you think my mentor would’ve been happy if I had? HELL NO… back in the day, when child labor laws weren’t recognized and people got “thumbs-up” for beating their children, when necessary, my mother had her spawns running a tight ship to get things done… including calling our names (with a heavy, Trinidadian accent) from across the house to come and change the channel on the TV in her room, before remote controls were en vogue (yeah, that long ago.) Straying from tradition, now, would be unacceptable. I suppose, it shouldn’t come as any surprise that the only boy in the household, my older brother, Shurland, though spoiled for -being- the only male offspring was quite well-versed in all things domestic. I can easily say, (as I roll my eyes) that he did a better job of cooking, cleaning, AND ironing than we girls; Even more annoying… he was the first to get married with the proper nuclear unit, equipped with “the family van” and all (nausea), leaving the three, single, -female- misfits, his sisters, with the duty of watching the constant look of disappointment in our mother’s eyes for 20 years. This curse only ended (me thinks) after I, “the Shrew”, was “tamed” (oh, puhleeez) and carried off to a miraculous and magical 10/10/10 wedding. One would think that ten years of experience in a corporate setting, as a “world-class” (yeah, right), multi-tasker, during my days as a TV news video editor and coordinator for live, prime-time newscasts would translate into efficiency in the home… particularly, after wedded bliss… WRONG.